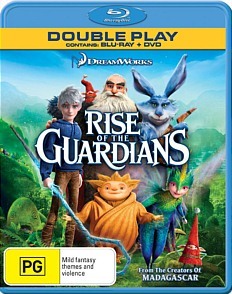 Rise of the Guardians Blu-ray Review Rise of the Guardians is definitely a must have film for your family's collection! Directed by Peter Ramsey (Fight Club, Men in Black), he brings together a very impressive and colourful assemble for Rise of the Guardians that stars the voices of Chris Pine, Hugh Jackman, Alex Baldwin, Isla Fisher, Dakota Goyo and Jude Law. Unfortunately for the world, an evil spirit called Pitch (Law) wishes to take over the world by inspiring fear into the hearts of children and as a result, the Guardians will fail to exist. The only way to stop Pitch is to bring together the world's most greatest mythical heroes that include Santa (aka North - Baldwin), the Easter Bunny (or just Bunny - Jackman), the Tooth Fairy (Tooth - Fisher) and Jack Frost (Pine). The main protagonist however is Jack Frost, a 300-year old teenager who has been asked by the Man in the Moon to join the Guardians in order to stop Pitch and his villainous allies from scaring children to crush their hopes, believes and imagination. 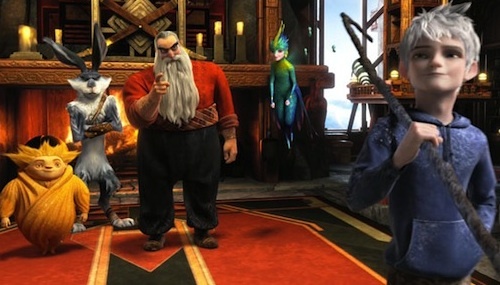 Even though Rise of the Guardians has quite a number of clichés, it's actually quite a comedic and entertaining story with some wonderful voice acting by all involved. Chris Pine (Star Trek into Darkness) is excellent as Jack Frost as is Alex Baldwin as the Russian sounding Santa Claus warrior called North. 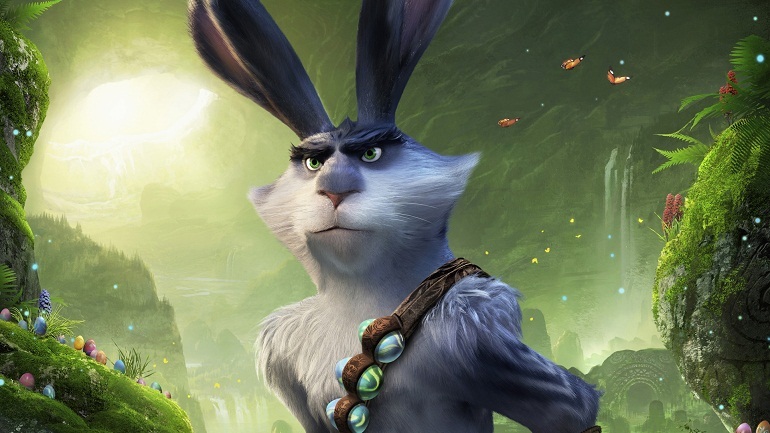 Hugh Jackman actually plays an Australian Easter Bunny and has some great lines in the film, including fellow aussie Isla Fisher as Tooth. Both are great characters! My favourite actor is Jude Law as the malevolent Pitch who is oozing with kid friendly evilness. There's also some great moments in Rise of the Guardians, especially around the reluctant Jack who gets this inspiring pep talk from North. 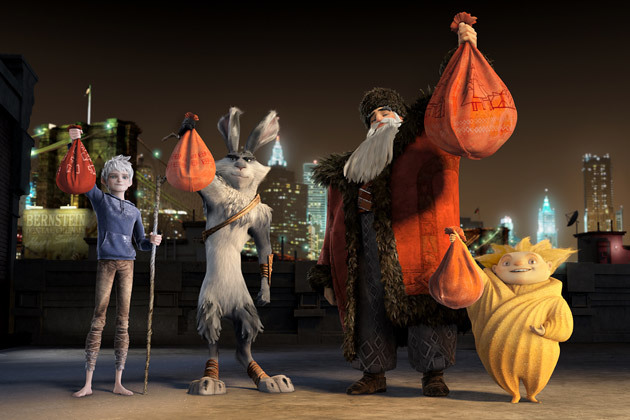 Add in plenty of action plus comedy and Rise of the Guardians is a fun movie that can definitely be watched by the whole family and with Easter just around the corner, this is the perfect movie to watch over the holidays. To compliment the great characterisation and entertaining story, the animation is outstanding in this film and although the characters still look computer animated, they have some uncanny human-like emotions that makes them quite relatable. This also assists in pulling on your heartstrings as you watch the story unfold. With that said, the Blu-ray version of Rise of the Guardians enhances the animation with crystal clear images and a colour palette that would put a rainbow to shame. Audio is equally as good with Dolby Digital 7.1 which at times blasts your speakers, especially the great soundtrack of the film. To compliment this fun movie, Paramount have added some fun special features that includes Behind the Magic, The Man Behind the Guardians, Rock, Paper, Scissors with Sandy, Jack Frost Snowball Showdown, Filmmakers commentary, Dreamers & Believers plus the movie on DVD. What I liked about the special features is that most are short and sweet without over indulging the viewer with techno garble.